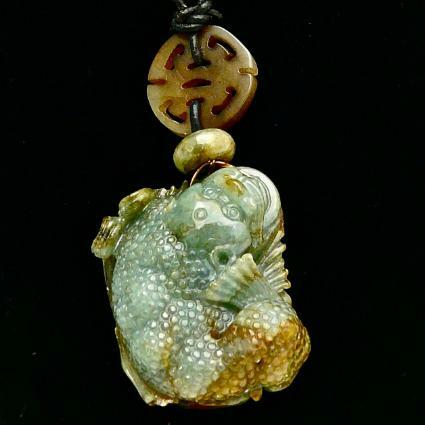 This carved green jade is in the shape of a toad. 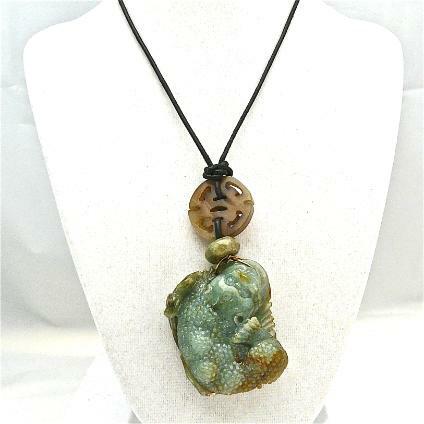 The natural jade has small areas of brown around the edges. It is carved in great detail. 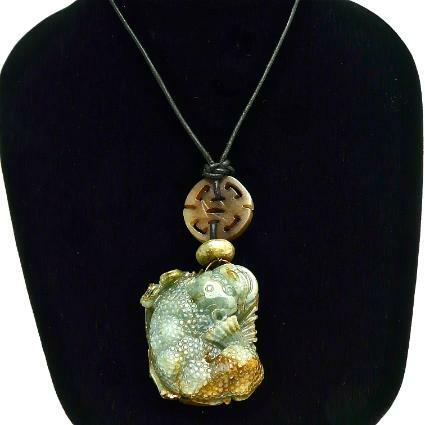 I have topped it with a piece of carved brown serpentine in the symbol of long life. The jade toad measures 2” by 1 1/2”. 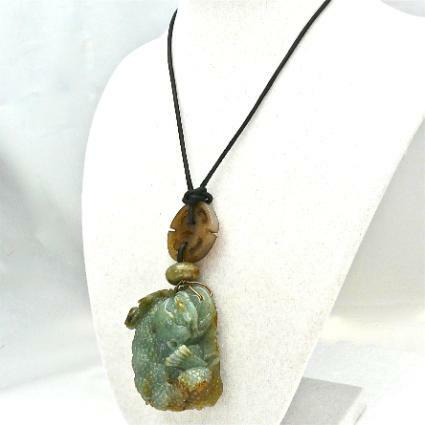 The jade and serpentine drop 3” from a black natural leather cord that is adjustable in length. The three-legged toad is believed to exist only on the moon, which it swallows during the eclipse. With money in his mouth, the three-legged toad is symbolic of good fortune and prosperity.